Yes, it's elitist, I know, but the CIPS Fellows’ Wine Tasting is fun. Here are some of the great and the good of procurement, plus some of the “used to be great and good, now retired and redundant”, enjoying a fine glass of Chateau JeNeSaisQuoi ’68. (The Argentinian Red was lovely, actually, and not sure I’ve ever had a Hungarian Tokay that wasn’t sweet or an Australian Roussanne – both very tasty and interesting). Thanks to Shirley Cooper and her Fellows team for organising, and sponsorship from procurement outsourcing service providers Chain IQ and property specialists CBRE who hosted the event in their office, with a spectacular roof terrace right next to St Pauls (see pic). “I’d like to buy a new laptop please, helpful procurement assistant chatbot”. “I’m sorry Peter, you no longer have budget or spend authorisation – don’t you remember, you tried to buy stationery off-contract last month? In fact, I’ve just de-authorised your swipe card for the office toilets too, you loser”. Yes, our mystery man from a couple of weeks ago was David Shields. And we're pleased to say he is back in the UK and has joined Bloom as Chief Commercial Officer. Bloom are partners of us here at Spend Matters and run the NEPRO professional services framework as you may well know. 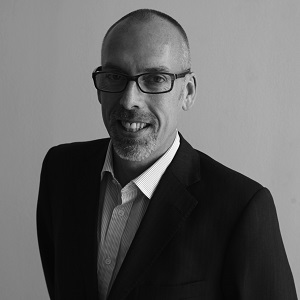 David is "a very experienced, senior global commercial leader, having managed a number of significant transformation programmes across the public and private sectors. Most notably, David was previously MD of Government Procurement Services (now known as Crown Commercial Service). Recently David has spent several years providing strategic advice to directly assist the US Federal Government on the development and implementation of its category management programme". Good luck to him in the new role, and well done Bloom for capturing a real UK public sector "big hitter". The GDPR regulations are leading to all of us getting loads of emails asking whether we want to continue being on various mailing lists. But it is weird – in the case of many, I have no idea how I ever was on the list! For instance, this week I got one from “Middle East Hospital” – the leading jobs board for hospital vacancies in the Middle East. Really? I have never applied for a job in the Middle East, or one in a hospital, let alone a combination of the two factors. How on earth am I on their list? It’s vaguely worrying really … maybe it is a scam of some sort? We do seem to have a lot of very clever and important people in the UK who think we just won’t be able to survive outside the EU. The “defeatist” camp, including many ex-politicians and civil servants in the House of Lords, for instance, see the UK as insignificant and unable to function as an independent country without the protection of the wider EU. Well, maybe. But I admit – and I’m not a royalist by any stretch of the imagination – that I felt proud to be British watching the royal wedding last week. We can do a lot of things well, and when you look at the talent and skill that was on display there, from the organisational genius to the incredible music, the talent we have in sportspeople, musicians, actors, designers, our incredible national history and yet the ability to adapt pretty well to the modern world (a black Pentecostal preacher in St George’s Chapel, a mixed-race divorcee marrying the Queen’s grandson) - well, let’s just see how we do on our own. We might just be fine. And the musical highlights were pretty special too. The chapel choir was great, and even as an agnostic, I love Lord of all Hopefulness which is clearly just the best hymn. The young cellist Sheku Kanneh-Mason was amazing, but above all, the Kingdom Choir, singing quite perfectly Sam Cooke’s Stand by Me, one of the greatest songs ever written (and a personal favourite), a song full of resonance to the civil rights movement too, just reduced me to an emotional wreck. And don’t you just wish you could sing like this?